A war rages in the video gaming community between those who value 60 frames per second above all else, and those who, well, just want to play video games. Steam groups like The Framerate Police pass judgement on a wide range of games based on their framerate, boasting that it's "Keeping you safe from 30fps". YouTube videos provide detailed framerate analyses between different versions of a single release. And you can't go a few pages on a forum without wading into some kind of flame war about the objective value of an increased framerate. It's especially a point of contention when it comes to ports of old games, and with mid-cycle console upgrades like the PS4 Pro and Xbox Scorpio either out or on the way, each offering enhanced processing power, developers can tap the hardware and enhance your favorite games like never before. I mean, 60 is more than 30, therefore it surely has to be better, right? There is some truth to the argument that 60fps is ideal for shooters like Call of Duty or fighting games like Street Fighter 5: if a game calls more frames per second, it's also checking your own inputs more often, which makes controls more fluid and responsive. But the thing about ports is that they always seem to introduce new bugs, especially where framerate is concerned. A thread on reddit compiles many of the issues completely new to the recent PS4 updates of Kingdom Hearts 1 and 2, with user crimsonfall describing how the shift from 30fps to 60fps "messes up the physics in KH1 and 2, causing certain bosses to behave strangely, with one being almost potentially broken, and some moves lasting shorter than they should such as Quick Run". While most casual players will probably never notice these issues, diehard fans, completionists, and players who opt for higher difficulties most certainly will. Many of these issues seem to have been cleared up in a patch that pushed out shortly before the collection's American release, but Japanese and import players who picked it up a month prior weren't sure if these fixes were ever going to come. This isn't the first time enhanced framerate has fundamentally broken an older game. In a particularly strange example, Dark Souls 2's weapon degradation - i.e., how quickly your swords break after smacking them around a bunch - was tied to its framerate. So when the PC and upgraded PS4 and Xbox One ports made the rounds boasting a framerate doubled to 60fps, players began noticing that their weapons were breaking twice as fast. PC players had to wait over a year for a patch to finally fix the issue. This is a problem, considering how many of gaming's more ardent technophiles all but expect 60fps on updated ports of old games, and especially considering how publishers charge full price all over again for buggy re-releases. If you've ever wondered why the hell developers would tie important functions to framerate in the first place, Daryl Allison has the answers. Allison is Senior Producer at BluePoint Games (the team behind the lovely Uncharted: Nathan Drake Collection and Metal Gear Solid HD Collection, among others). He, along with some support from co-owner, president, and chief technical officer Marco Thrush, helped shed light on why framerate is such a tricky subject for ports and remasters. In short: chalk it up to variable framerates and quibbles unique to console-based game development. Why would you tie important game functions to framerate? "Simply put: There are no good reasons to intentionally tie functionality to framerate," Allison explains via email. The nature of developing PC games, with its nearly infinite combination of hardware set-ups, all but discourages this, and many developers make games on PC with variable framerates in mind. Console games are able to get away with it more easily due to the fact that, for example, every PS2 runs virtually identically to every other one, so variations in framerate are minor - if they happen at all. "Simply put: There are no good reasons to intentionally tie functionality to framerate." Developers can use this consistency in the platform base to help build their games much more quickly. "It’s often good practice to choose the fastest method for implementing functionality into a game, (i.e. prototyping or rapid iteration)", Allison writes. "The sooner a team sees the behavior on screen and feels it in their hands, when the functionality becomes tangible rather than an abstract idea, the sooner smart decisions can be made in proper context. Sometimes these quick implementations work well enough to keep." The thing is, what worked on older consoles like the PS2 is a whole other beast when you move it to a different platform, especially when you bump up the framerate. And discovering, isolating, and fixing these bugs requires different techniques depending on how the source material runs. Can these bugs be fixed? That work can be done, though, as Allison points out: "I can’t think of an example where such an issue could not be fixed. In a sense, 'anything is possible' in game development. It’s just a matter of how challenging and expensive (time and effort) [it would take] to implement a fix. In many of these cases it's simply changing the calculations to support variable framerate. Other times a solution may require a rewrite of the system. Under rewrite conditions it is important to carefully understand the intentions and interactions of the original system, so that our results feel authentic to the player, even with everything completely new under the hood." "Even we were once guilty of shipping a framerate-dependent bug that affected gameplay. In Shadow of the Colossus (from the Ico and Shadow of the Colossus HD Collection), we didn’t notice that a part of the game became slightly more difficult when the game ran at a stable framerate (30 fps in our PS3 version, often ~20 fps in the original PS2 version). 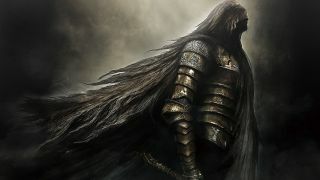 This slight difficulty change reared its head against the third colossus when players challenged themselves to the Time Attack mode set to Hard difficulty. Our QA team was so good at playing the game that this subtle difference under these specific conditions didn’t affect them, so the bug went unnoticed. "[When the public got their hands on the remaster], the bug frustrated enough players who weren’t expert players like our QA team. Original gameplay on the PS2 was tuned based on the ~20 fps, and the original code didn’t properly deal with variable framerate for physics relating to the colossi shaking off the player. Once we were alerted to enough fans growing frustrated, we did identify and fix the problem. However, in the end a decision was made to not devalue the achievement of people who had managed to get the trophy under those difficult conditions, and so a patch with our fix was never released." So what's the best approach? While leaving framerate at the setting allowed by the source hardware may provide an experience closer to the original design, bumping that framerate to a stable 60fps makes a remaster much easier to sell to a wider audience (plus, games like Kingdom Hearts look real nice at a smooth and speedy 60fps). Perhaps the best way to solve this issue is simply a matter of giving players choice - like when Allison's studio allowed players to flip a switch in The Last of Us Remastered between a graphically enhanced 30fps or a less-visually impressive but solid 60fps experience. Developers could even take this a step further, like in Double Fine's recent Full Throttle remaster, and let players choose between a variety of individual settings, allowing them to decide how close to the original version or the full remaster they want to go. Giving people a range of options between framerates could potentially allow them to bypass any new issues that crop up - at least until a patch arrives, at any rate. What does it mean for PS4 Pro and Xbox Scorpio? As for how PS4 Pro and Xbox Scorpio will handle these upgrades, and how future platforms will run old games released for them, Allison compares it to how developers used to handle the difference between North American and European television standards. "Teams primarily developing towards one standard would then spend a portion of their project ensuring everything functioned well at the significantly different enough framerate of the other standard," Allison explains. "Now with the PS4 Pro, PlayStation development has access to the more powerful hardware. If a team is pushing the PS4 hardware at 30fps, chances are one of the modes they can offer on the the PS4 Pro is an equally rich experience at 60fps. Something similar will probably be true with what Microsoft is up to. Console teams will once again be more likely to consider variable framerates and less likely that these framerate dependent bugs will hide for future versions to undesirably uncover." But the important thing to remember is that ports and remasters alike aren't just the same old game with a new coat of paint on top. In many cases, entire sections have to be rebuilt from scratch just to work on new hardware, and making those changes requires an intimate knowledge of how all of its various pieces fit together. As it turns out, 60 isn't irrefutably better than 30 - especially when increasing that number can have the unintended side effect of completely breaking your game.